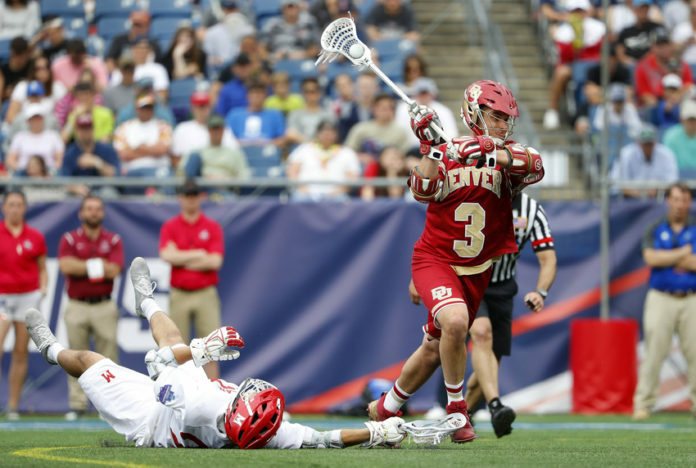 For the seventh time in the last eight seasons, the University of Denver men’s lacrosse team finds itself in the quarterfinals of the NCAA Men’s Lacrosse Championship. After knocking off No. 7 Notre Dame last Sunday, the unseeded Pioneers will square off with No. 2 Albany for the shot to advance to Championship Weekend for the sixth time in school history. The matchup pits two of the greatest specialty players in the sport against one another as Denver’s Trevor Baptiste and Albany’s TD Ierlan will battle in one of the most anticipated pairings of the season. It’s not hyperbole to say that Baptiste and Ierlan are the two best faceoff specialists in the history of NCAA lacrosse. Baptiste, who was selected No. 1 overall in last month’s MLL Collegiate Draft by the Boston Cannons, is the NCAA’s all-time leader in faceoffs won at 1,143. His career faceoff percentage of 71.8 percent is on pace to break the career record of 70.7 percent. Meanwhile, Ierlan is on his way to the best single season in NCAA history. He sits just 13 faceoff victories away from the single-season record of 339 and will shatter the single-season record for faceoff percentage; his current mark of 83.4 percent is nearly six percent higher than the current record of 77.6 percent. Baptiste, currently winning 76.5 percent of his draws this season, also has a shot to break the record. The two teams have met four times in total, including once in the NCAA Tournament. The Pioneers defeated the Great Danes in the first round of the 2013 tournament, 19-14. DU advanced to their first of three consecutive semifinal appearances that year. Denver enters the game having won nine of its last 10 games with the lone loss coming against Georgetown in the Big East Tournament final. 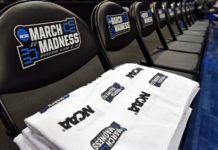 Albany lost two of its final four regular season games after starting the season with 10 consecutive wins, but ultimately rolled through the America East Tournament with ease. In addition to the showdown in the faceoff circle, the game pits one of the best offenses against an equally stout defense. Albany was the nation’s highest scoring team this season, averaging 14.59 goals per game. Denver boasted the best scoring defense on the season, allowing 7.44 per contest, followed closely by Albany at 7.71. 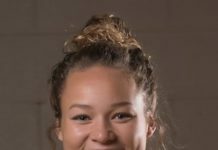 Denver’s Ethan Walker leads the Pioneers’ scoring attack, ranking No. 4 in the country with 2.94 goals per game. Albany possesses three top-50 scorers in Tehoka Nanticoke, Jakob Patterson and Connor Fields. The quarterfinal matchup begins Saturday at 12:30 p.m. MT in Hempstead, New York as the Pioneers look for another spot in Championship Weekend.